In this final section of the Nikon D800 lens test review, we’ll be looking at the wide-angle lenses. For clarity, we are classing any lens with a focal length up to 35mm as wide-angle. Within this we have broken lenses down into the ultra-wides with focal lengths below 21mm, wide-angle between 21mm and 35mm and zoom wide-angles with a focal length up to 35mm. Nikon have launched a new full frame FX ‘consumer’ DSLR. Representing a new product line, the new Nikon D750 sits between Nikon’s full frame consumer D610 and professional D810 DSLR and shares features and specs from both models. Featuring a ‘newly designed’ 24.3Mp sensor we look ahead to see how it might perform. 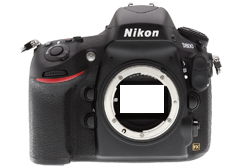 Nikon has enjoyed phenomenal success with both the Nikon D800 and D800E models, and particularly so with latter model with its unusual optical low-pass filter that cancels out the anti-aliasing effects. So it comes as little surprise to see the usual mid-term update, the D810, consolidates the two by offering a newly developed full-frame 36-Mpix sensor without optical low pass filter. We’ve had the opportunity to put the new camera through its paces this summer in our Paris-based labs. Read on to find out how well the sensor in this new revamped model performs.